Ovens are the heart and soul of every bakery. Whether you are selling bread, cakes, pies, cookies, or other types of pastries, the success of your bakery largely depends upon the ovens that you have. Therefore, it is crucial that you invest in a high-quality oven that has specific features to meet your needs and satisfy customer demand for your baked products. This comprehensive buying guide will help you choose an oven that is right for your business. We will discuss the different types of ovens commonly used in bakeries and how they can benefit your kitchen. We will also talk about the factors you need to consider when selecting a specific unit and the features you want to have in your commercial oven. Standard ovens, also known as radiant ovens, are the simplest kind of oven. These have a heating element situated at the bottom of the baking chamber that creates radiant heat that is then transmitted throughout the cavity. Standard ovens are very common because they are the most affordable type of oven. They also have fewer moving parts than other ovens and are, therefore, easier to repair. However, radiant heat is not as reliable as other heating methods because it is not distributed as evenly throughout the baking cavity. Because of this, standard ovens may end up cooking food products unevenly. Convection ovens are the most popular in bakeries. The difference between convection ovens and standard ovens is that the former are equipped with fans that circulate hot air into the baking chamber. This creates uniform heat distribution to prevent cold and hot spots that lead to uneven baking. A convection oven leads to even browning and uniform cooking at all times, making it suitable for baking a high volume of cakes, pies, cooking, breads, brownies, and other pastries. The heated air also cooks food 25% to 30% more quickly than standard ovens, making them ideal for bakeries that need to produce a lot of baked goods quickly. Some convection ovens have a steam injection system that releases steam into the baking chamber, a feature useful to bread bakers because steam helps the dough rise and create a crispy, crackly crust while maintaining a soft, moist inside. These are also called combi ovens and can provide other functions, such as proofing dough to prepare it for baking. If you're used to baking in a standard oven, using a convection oven may require you to adjust your recipes a bit because convection ovens are hotter than standard ovens. 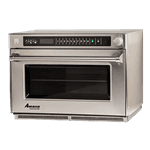 Deck ovens have heating elements at the top and bottom of the baking chamber and a stone shelf that is directly heated so that you can place your items on top of it. The heating elements can be adjusted separately, allowing you to set different baking rates for the top and bottom of your food item. This makes it useful for baking pies and quiches, where you want the crust to be heated up enough to get crispy and the filling to stay cooked but not burnt. Deck ovens are also preferred by some bakers for making artisan breads because the stone deck provides a traditional hearth quality to the bread. 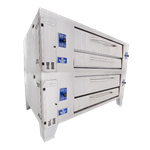 Deck ovens can have one or multiple decks, the latter being useful in commercial environments because it allows you to cook several items at once without taking up too much space. However, deck ovens do take a long time to pre-heat and re-heat so you may have to keep it continuously turned on if you have several batches to prepare. Also, unlike convection ovens, deck ovens can develop cold spots because the food can draw heat away from the stone deck. Conveyor ovens are ideal in settings where you need to produce high volumes of food at the least amount of time possible. These ovens use a cooking method called impingement, where you put the food on a conveyor belt and the belt transports the food through a chamber. Uniform jets of heated air are then blasted to the food, cooking everything consistently until it comes out of the other end of the conveyor. The speed of the conveyor belt remains the same all throughout to ensure that all items are cooked uniformly. Conveyor belts are extremely easy to use. You only need to place the food items and push a button, which makes them ideal for use by unskilled staff because they don’t need special skills to produce well-cooked food products. The ovens can also be stacked in twos or threes to let you increase your volume output without increasing your space requirements. However, the type of foods that you can cook in a conveyor oven is greatly limited by the size of the conveyor opening, which typically runs 3” to 5” in height. The rapid heating also makes it too powerful for delicate items, such as flans and puff pastry, which may fall apart under the force of the hot air jets. Steam ovens have a water canister or a direct connection to the water supply line to allow them to inject steam into the baking chamber. The steam provides heat to the cavity, allowing you to create perfectly soft and moist baked goods. However, steam ovens do not create the same crisp, browned edges that baking in other ovens would. This is because other ovens produce dry heat that creates the browning that is often seen in baked goods. 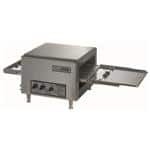 Cook-and-hold ovens use low temperatures and gentle heat to cook food items and keep them at warm temperatures until they are ready to be served. These are slow cookers that are best used for baking food in advance. They aren’t the best choice for high-volume production since these ovens take their time. Cook-and-hold ovens are also used as a dough proofer to prepare dough for baking in a standard or convection oven. High-speed ovens are a fairly new type of bakery oven that combines multiple cooking methods to bake your food products extremely rapidly. This allows you to significantly cut down on cooking time and provide extra-quick service to your customers. For instance, a cupcake, which usually takes anywhere from 15 to 20 minutes on a standard oven and 12 to 16 minutes in a convection oven to bake may only need 5 minutes in a high-speed oven. Most commercial high-speed ovens combine convection and microwave technologies to produce enough heat to rapidly cook food. Convection cooking uses air circulation to produce uniform cooking while the microwave uses electromagnetic waves to produce a lot of heat quickly. 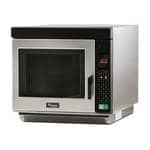 Microwave is infamous for producing inconsistent results, but when combined with convection cooking, it becomes stable enough to produce evenly cooked food. High-speed ovens often have programmable controls that allow you to create the settings for different recipes that can be accessed in a pinch. They require little training, making them easy to use even for unskilled workers. Bakery ovens are powered either by gas or electricity, both of which have their own advantages and disadvantages. Gas-powered ovens cost far less to use in the long run since gas is more affordable in many places in the country. Your choice of gas matters too. Propane gas is more expensive than natural gas so if you’re very budget-conscious, opting for a natural gas oven can help keep your operational expenses down. Keep in mind, though, that gas ovens require a gas connection, which can be expensive to install if you don't have one yet and will add up to your upfront costs. You also need to have the proper safety equipment, such as quick disconnect hoses and line harnesses, to minimize the risk of fire and injury. There’s a trade-off for the relatively low costs. While gas ovens heat up more quickly than electric ovens, they can be a little tricky to control and tend to create cold and hot spots because of the poor heat distribution. This may lead to food items that are overcooked on one side and undercooked on another. Electric ovens are very easy to install. You simply insert the plug into an outlet and start using. They take longer to heat up than gas ovens, but they provide more consistent heat that leads to evenly baked food products. Electric ovens are also easier to clean because they don’t require a gas connection that can get clogged with grease and debris. They are also safer than gas ovens because there is no risk of gas leaks and less chance of fire. Still, it is important to have the necessary safety measures in place in your kitchen. Most electric ovens have a voltage of 115v or up. They need to have their own breaker in the breaker box because they create large power spikes every time you turn them on. These power spikes can cause the circuit breaker to trip. If the oven doesn’t have its own breaker, it can cause a power outage in your establishment. Electric ovens can be more expensive to purchase and use in areas where electricity is more expensive than gas. If you want to know how much energy your electric oven is consuming, take a look at your electricity bill and look at the price per kilowatt-hour (kWh). Multiply that by the number of hours that you use your electric oven every month. The figure you’ll get is your oven’s monthly energy consumption costs. To determine the size of the oven you need for your bakery, find out how much space you have for the oven. Large commercial kitchens can obviously get away with multiple large units, but smaller bakeries and pastry shops need to analyze their floor plan thoroughly. Another factor you need to think about is the number of baked products you need to prepare to keep up with customer demand. How many individual food items can fit into the oven and cook at the same time? How long will each different product need to cook? How many hungry customers are waiting for their order at any given time? And how long are you willing to keep your hungry customers waiting? Addressing these questions will give you an idea of how big you need your oven to be. Different food products are best prepared in different types of ovens. For example, bakeries that produce artisan breads, as well as soufflés, cheesecakes, and custard desserts, will benefit the most from investing in a deck oven, where items are heated via conductive transfer from the stone deck to the food product. While convection ovens are especially versatile, delicate items that bake well in deck ovens will easily collapse under the circulating air of a convection oven. 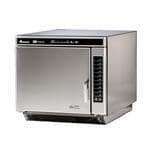 However, convection ovens are perfect for breads, cakes, cookies, pastries, and plenty of other items. Conveyor ovens are also useful for baking different food products at high volumes, but there may be some quality tradeoffs in exchange for the efficiency and ease of use. Food products that take too long to bake can lead to unsatisfied customers. Most customers are already hungry when they step into your bakery so you need to find the sweet spot between serving high-quality food products and serving them right away. 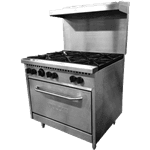 Convection ovens provide quick cooking times that are satisfactory in most settings. However, having a high-speed oven to supplement your convection oven can also help meet customer demand during the busiest times of the day. Working in a bakery can get stressful enough on its own. Having a good oven that is easy to operate can help relieve some of the stress for your staff. In terms of ease of use, conveyor ovens win hands down. Conveyor ovens cook food quickly and efficiently, giving you consistent results day in and day out. You also don’t need to hire staff with specialized skills to operate a conveyor oven. Cleaning and maintenance requirements should also be added to the equation. In general, electric ovens are easier to clean than gas ovens. Some ovens also have rounded corners to prevent the accumulation of food at the corners of the oven cavity. A smooth porcelain interior can also help make wiping down the baking chamber easier. Ovens can release a lot of soot and grease into the air. If not addressed properly, this can create health problems, especially for staff with lung concerns, and fire hazards in your kitchen. National and local fire codes require that commercial kitchens install the appropriate ventilation systems to ensure that you are providing a clean and safe workspace. Having proper ventilation in place also removes excess heat from your kitchen so that your HVAC system doesn’t have to consume more energy to cool the area. Some combination and steam ovens require a water supply to produce steam. If your bakery is located in an area with poor-quality water, you may also need to invest in a high-quality water filtration system that removes hard minerals, sediments, and other dissolved solids from the water before it reaches the oven. Having a good water filter also prevents mineral buildup on the walls of your oven and ensures that it lasts a long time. The EPA’s ENERGY STAR program has classifications for bakery ovens that meet strict energy efficiency requirements. Consider looking for an ENERGY-STAR oven, which is proven to consume 20% to 30% less energy than other ovens. Bakery ovens can have solid doors or glass doors. Solid doors are usually made of stainless steel, which provides good insulating power to keep the heat inside the oven. However, solid doors can lead to heat loss because you need to open them to check on your food items. Glass doors, on the other hand, do not provide as much insulation as solid doors, but they allow you to take a look at your food products without opening them. Many models with glass doors use low-emissivity glass. This type of glass has two or three panes that trap air or gas between the panes to reduce heat transfer. Low-emissivity glass doors can help insulate the oven interior and keep the heated air inside. Oven racks are used for loading and supporting your food items as they cook in the oven. They must easily roll in and out for effortless use. Many ovens also have racks that can be adjusted in height so you can position your items closer or farther away from the heating elements. If you need to bake different food products with different heights, you may use half-racks, which take up only half the width of full racks. This lets you place a taller item on the lower full rack and a shorter item on the upper half-rack. Ovens have manual or programmable timers with digital displays to help you keep track of the amount of time that your food is cooking. Manual timers have a knob that you can turn to create a countdown timer. Once the countdown timer ends, the oven beeps to let you know cooking time is up. Many new ovens are equipped with timers that can turn the oven off once cooking time is up. 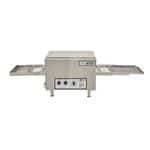 This is useful in commercial kitchens where you have to divide your attention among several different tasks at once. A programmable timer that automatically turns the oven off also helps minimize the risk of overcooking your food products.